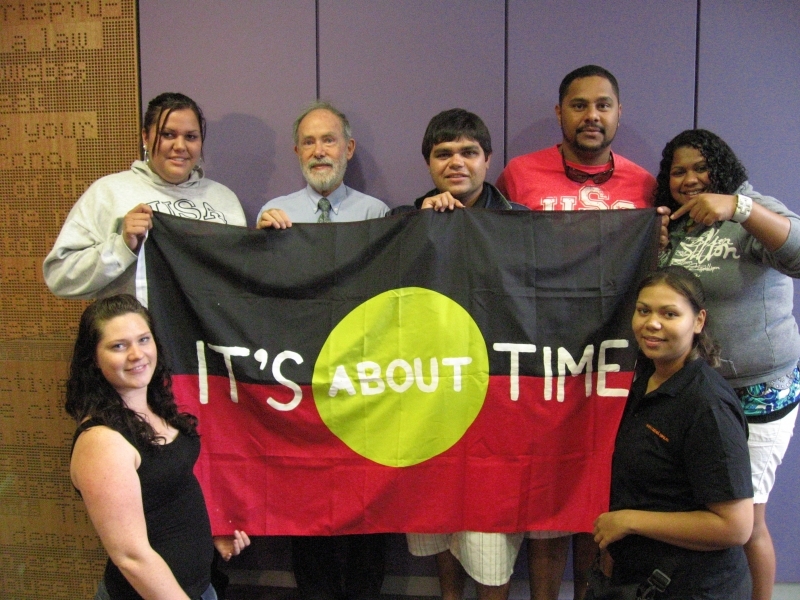 DTP’s first program with Australian Indigenous community leaders/advocates was in 1990. In 2004, DTP, in partnership with Oxfam Australia, reengaged more strategically in human rights advocacy capacity building in Australia. This focussed initially on support for DTP’s Asia-Pacific Regional Indigenous Peoples' programs held in the Northern Territory. Since 2007, Oxfam Australia, Aboriginal and Torres Strait Islander Peoples Program (ATSIPP) and the Diplomacy Training Program (DTP) have collaborated to deliver a series of human rights and advocacy training programs for Aboriginal and Torres Strait Islander advocates. These programs have been developed largely in response to ATSIPP’s partners identifying the need for such training. Some programs have had a particular thematic focus - on youth and on health for example, while others have had a regional focus - Western Australia, Victoria and Mt Isa. Oxfam has also funded a specific program aimed to prepare delegates attending the UN Permanent Forum on Indigenous Issues. Since 2009, DTP has worked in partnership with the Fred Hollows Foundation to organise and faciltate community programs for their staff and partners and other Aboriginal and Torres Strait Islander advocates. These programs have been held in the Northern Territory (Katherine and Alice Springs) as well as Broken Hill in New South Wales. Content has been developed in response to the concerns and interests of participants identified through a collaborative needs assessment – applying DTP’s participatory methodology blending skills and knowledge. Hundreds of community representatives from a diverse range of locations, ages and involvements are alumni of these intensive human rights and advocacy training programs.The programs have been supported by and have involved many of the Aboriginal and Torres Strait Islander people, today providing leadership in engagement with international United Nations mechanisms and national human rights advocacy, including in Aboriginal Controlled Health Organisations. From 2015-2016, DTP and Oxfam Australia commenced a Human Rights, Indigenous Peoples Rights and Advocating for Change Program for Young Aboriginal and Torres Strait Islander Peoples. The overall objective is to offer training to young people, identified by their communities and their organisations, who are interested in being actively involved in change and to build their knowledge and skills to be effective advocates in promoting human rights and their rights as Indigenous Peoples. Program Report for Modules 1 and 2. DTP is committed to working with Aboriginal and Torres Strait Islander organisations and individuals in a spirit of partnership and shared commitment to the realisation of the Declaration on the Rights of Indigenous Peoples and other human rights standards.